A strong price recovery for the main commodities South Africa mines and exports has helped the country’s sector stage a turnaround in 2017, the first time in five years the industry is back in the black, a report shows. 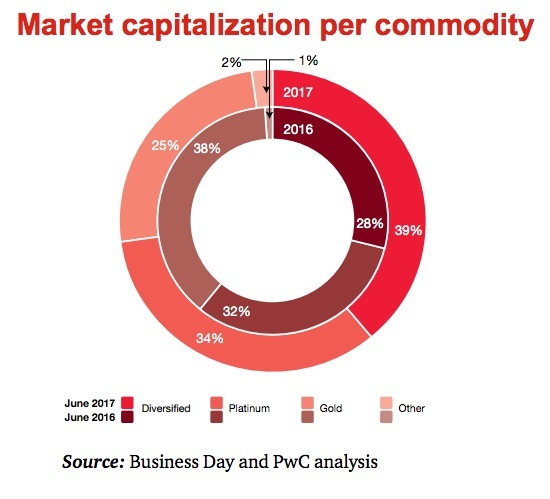 According to PricewaterhouseCoopers’ annual South African Mine report, released Friday, the sector’s improvement is worth noting as this year has been another challenging one for all players, big and small. Regulatory changes announced in June resulted in a decrease in dividends and market capitalization for companies operating in the country dropped to June 2015 levels. The sector has also been hit by various retrenchments across the industry and marginal increases in taxes paid, the report says. “This year can be described as a year of policy uncertainty and real questions over the long-term sustainability of the industry,” Michal Kotzé, PwC Africa Energy Utilities & Resources Leader says. A subsequent recovery at the end of August was aided by improved US dollar prices and hope by investors that the suspended new Mining Charter would be revised before final implementation. Contribution by commodity: Coal kept its strong position as the leading South African mining commodity revenue generator. Despite its percentage of revenue generated remaining unchanged at 27%, it increased total revenue to R119 billion from the prior year’s R105 billion. Platinum group metals’ (PGMs) share of total revenue decreased to 22% from 24% as total PGM revenue decreased by R2 billion to R94 billion. Gold’s share of mining revenue decreased to 16% from the 18% in 2016. In contrast, iron ore’s share increased to 11% from 9% due to a R10 billion increase in revenue. 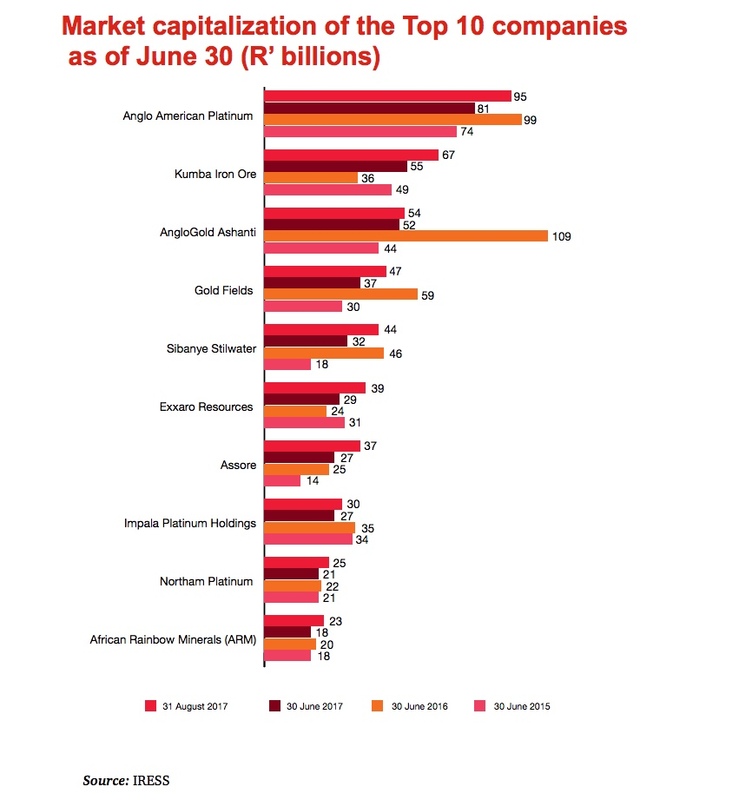 Financial performance: Gold companies’ revenue increased by 17% (R23 billion) due to improvements in bullion prices and a weaker rand for most of the reporting period. The platinum companies have seen revenue increases by 4% from the prior year on the back of improved platinum prices for parts of the year. Operating expenses increased by R13 billion, which is a 5% increase from the prior year. Continued low commodity prices have resulted in another year with significant impairments in the industry, with a total of R22 billion in impairment provisions. More than R100 billion was impaired over the last three years, more than wiping out the last two years of capital expenditure in the industry. Labour still makes up the majority of mining companies’ costs, accounting for approximately 44%. Labour costs increased by 4.5%, which was marginally below inflation. Illegal mining: The value of illegal mining and dealing of metals and diamonds in South Africa is estimated to be more than R7 billion per year. The South African gold sector has been the most adversely impacted by illegal mining within the industry, according to the companies included in our study. 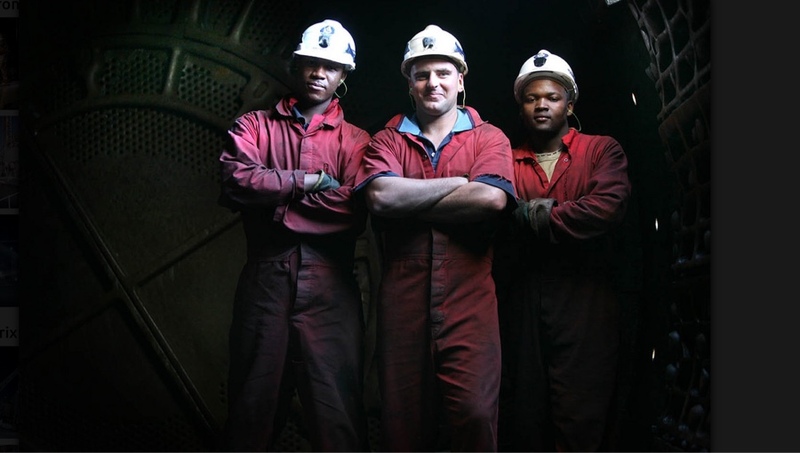 The Chamber of Mines has emphasized the need for mining houses, the DMR and the South African Police Service to work together at every level of illegal mining activity from individuals working underground to the large syndicates that organise activity and sell the end product. The report, which is in its 9th edition, also included a brief look at the regulatory changes in Nigeria, the Democratic Republic of Congo and Tanzania.